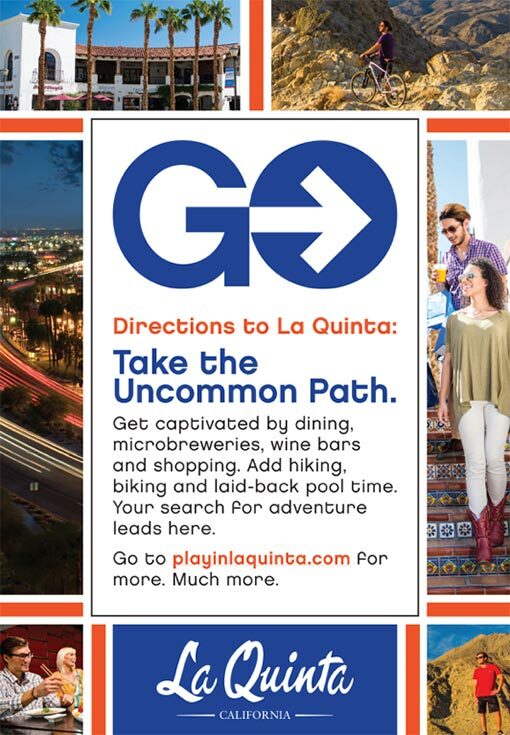 The City of La Quinta was looking to expand its reputation as a destination while promoting quality of life and opportunities for visitors, residents, and business owners. Further, the client needed to address the perception of the area as a haven primarily for retirees, in a quest to appeal to a younger demographic. We wrote a brand platform with strategy for positioning, competitive advantage, brand promise, values, attributes, culture, visual strategy, and placemaking recommendations. Centered around La Quinta’s differentiators, we built on its origins as a “neighborhood village and club atmosphere” as conceived by San Francisco industrialist Walter H. Morgan. The visionary developer built the iconic La Quinta Hotel (now the Quinta Resort and Spa) in 1926, opening to rave reviews from Hollywood’s best and brightest. We mined this legacy, driven by the area’s mystique, climate and beauty. It gave rise to a city that grew up around the legendary hotel. Further, we leveraged the brand equity of Greater Palm Springs, the state of California tourism, and CoachellaFest, the world’s largest music festival at nearby Empire Polo Club. 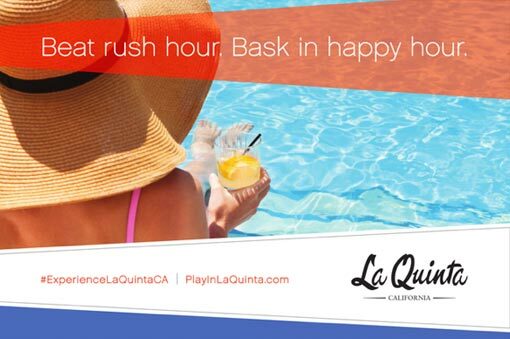 We promoted La Quinta not only for its pools, golf and year-round sunshine but also for its festivals, microbreweries, winebars, boutique retail, laid-back vibe, new skate board park, and increasingly youthful audience of young families and millennials. Solutions included an in-market event driven campaign for digital and print complemented by social media. Add a significant out-of-market tourism campaign targeting the SoCal drive markets of LA, Orange County and San Diego, along with direct flight markets from Seattle and San Francisco to Denver, Dallas, Chicago, NYC, and Canadian origin cities. 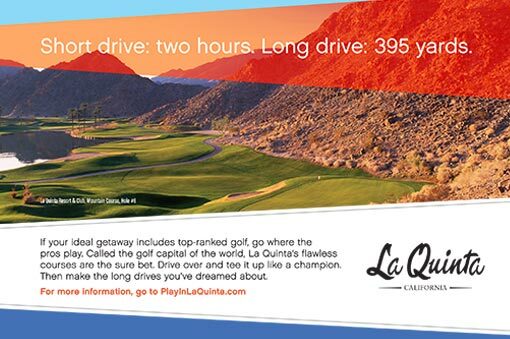 We aligned with tournaments (BNP Paribas and CareerBuilder Challenge) to increase visitors’ stay and spend, and developed executions like a large duratrans installation at the Palm Springs Airport. Locally, we used placemaking to promote events and community engagement, and numerous initiatives to develop a business-friendly, pro-developer culture. Marketing pieces for both architecture and brand guidelines (digital and print), and an economic development video were part of the mix.